For other uses, see Acer (disambiguation). Acer Inc. (/ˈeɪsər/ AY-sər; Chinese: 宏碁股份有限公司; pinyin: Hóngqí Gǔfèn Yǒuxiàn Gōngsī, lit. Hongqi Corporation Ltd.; commonly known as Acer and stylized as acer) is a Taiwanese multinational hardware and electronics corporation, specializing in advanced electronics technology, headquartered in Xizhi, New Taipei City, Taiwan. Acer's products include desktop PCs, laptop PCs (clamshells, 2-in-1s, convertibles and Chromebooks), tablets, servers, storage devices, virtual reality devices, displays, smartphones and peripherals. Acer also sells gaming PCs and accessories under its Predator brand. In the early 2000s, Acer implemented a new business model, shifting from a manufacturer to a designer, marketer and distributor of products, while performing production processes via contract manufacturers. In 2015, Acer was the sixth-largest personal computer vendor in the world. Currently, in addition to its core IT products business, Acer also has a new business entity that focuses on the integration of cloud services and platforms, and the development of smartphones and wearable devices with value-added IoT applications. Acer was founded by Stan Shih (施振榮), his wife Carolyn Yeh, and a group of five others as Multitech in 1976, headquartered in Hsinchu City, Taiwan. In 1998, Acer reorganized into five groups: Acer International Service Group, Acer Sertek Service Group, Acer Semiconductor Group, Acer Information Products Group, and Acer Peripherals Group. To dispel complaints from clients that Acer competed with its own products and to alleviate the competitive nature of the branded sales vs. contract manufacturing businesses, in 2000 the company spun off the contract business, renaming it Wistron Corporation. The restructuring resulted in two primary units: brand name sales and contract manufacturing. In 2001 the company got rid of its manufacturing units, BenQ and Wistron to focus resources on design and sales. Acer increased worldwide sales while simultaneously reducing its labor force by identifying and using marketing strategies that best utilized their existing distribution channels. By 2005, Acer employed a scant 7,800 people worldwide. Revenues rose from US$4.9 billion in 2003 to US$11.31 billion in 2006. Acer's North American market share has slipped over the past few years, while in contrast, the company's European market share has risen. In the mid-2000s years, consumer notebooks have been almost the sole growth drivers for the PC industry, and Acer's exceptionally low overheads and dedication to the channel had made it one of the main beneficiaries of this trend. Acer grew quickly in Europe in part by embracing the use of more traditional distribution channels targeting retail consumers when some rivals were pursuing online sales and business customers. In 2007 Acer bought Gateway in the USA and Packard Bell in Europe and became the Number 3 world provider of computers and number 2 for notebooks, and achieved significant improvement in profitability. Acer has been striving to become the world's largest PC vendor, in the belief that the goal can help it achieve economy of scale and garner higher margin. But such a reliance on the high-volume, low-value PC market made Acer exposed when buying habits changed. In November 2013 Chairman and CEO J.T. Wang, and President Jim Wong, both resigned due to the company's poor financial performance. Wang had been reportedly due to leave Acer at year end, and was supposed to have been succeeded by Wong. Acer co-founder Stan Shih took over as board chairman and interim president after the departure of Wang and Wong and began to search for new candidates to assume the roles of CEO and president. On 23 December, Acer named Jason Chen, vice president of worldwide sales and marketing at Taiwan Semiconductor Manufacturing, as its new president and CEO, effective 1 January. In 1988, Acer acquired Counterpoint Computers. 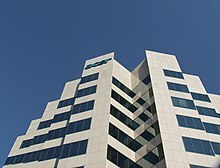 In 1990, Acer acquired Altos Computer Corporation. In 1993, Acer acquired the PC division of Commodore International. In 1997, Acer acquired Texas Instruments notebook computer business. On 27 August 2007, Acer announced plans to acquire its US-based rival Gateway, Inc. for US$710 million. Acer's former chairman, J.T. Wang, stated that the acquisition "completes Acer's global footprint, by strengthening our United States presence". Included in this acquisition was the eMachines brand. In January 2008, Acer announced that it had acquired a controlling interest of 75% of Packard Bell. In March 2008, Acer acquired: E-TEN. In 2009, Acer acquired 29.9% of Olidata. In August 2010, Acer and Founder Technology signed a memorandum of mutual understanding to strengthen their long term PC business cooperation. In July 2011, Acer Inc. bought iGware Inc. for $320 million to try to enter the potentially lucrative cloud market. iGware creates cloud software and infrastructure tools for devices. In September 2015, Acer acquired GPS cycling computer brand Xplova. In September 2015, Acer invested in robotics start-up company Jibo. In March 2016, Acer made an equity investment in grandPad, a provider of technology solutions specifically designed for senior citizens. In June 2016, Acer's Board of Directors approved the establishment of a joint venture with Starbreeze AB to design, manufacture, promote, market and sell StarVR Virtual Reality Head-Mounted Displays. In 2016, Acer acquired wireless pet camera maker Pawbo. In 2017, Acer became largest corporate shareholder of AOPEN Inc.
Acer has 7,000+ employees worldwide, operates in 70 countries, and has approximately 95,000 retail locations spread throughout 160+ countries. The Australian subsidiary of Acer is Acer Computer Australia (ACA). The subsidiary was established in 1990, and is currently Australia's third-largest personal computer vendor, behind Hewlett-Packard Australia and Dell Australia and New Zealand. Acer Computer Australia has Australia's highest overall market share in notebook PC and tablet PC sales. The company is also Australia's leading PC vendor in government and education markets. Acer Computer Australia has 480 employees as of 2006. The company repairs, assembles and manufacturers laptops and desktops in Sydney. Acer's EMEA headquarters are located in Lugano, Switzerland. From the late 90's to mid-2000's Acer had computer factories in Europe. The business area was the whole EMEA. In the Netherlands under the name of Acer IMS bv there were two factories: Acer laptop factory in Den Bosch and Acer and IBM desktop factory in Tilburg. Acer also had facilities in Germany under the name of IMS in Ahrensburg and Hamburg. Acer's subsidiary in India is Acer India (Pvt) Limited, and was incorporated as a wholly owned subsidiary of Acer Computer International, Ltd. in 1999. It is a notable vendor in key segments such as education, desktop computers and low profile notebooks for education. The headquarters is in Bangalore, India. PT Acer Indonesia is a wholly owned subsidiary of Acer Inc and distributes their products through their main distributor PT Dragon Computer & Communication. Acer is currently the second largest computer vendor in Indonesia. In Q1 2016, Acer recorded >81% market share in Windows tablet in Indonesia. Acer America Corporation, headquartered in San Jose, California, is a member of the Acer Group. Acer's R&D, engineering, manufacturing, and marketing operations in the United States and Canada are handled by Acer America. The U.S. headquarters was opened with a staff of three in 1985, as Multitech Electronics USA, in Mountain View, California. In 1986, the U.S. headquarters was moved to San Jose, California. In 2005, Acer published its first environmental report, for which the company used the GRI guidelines. All of Acer’s tier-one suppliers have acquired ISO 14001 certification. In November 2012, Acer was ranked 4th place out of 15 in Greenpeace’s re-launched Guide to Greener Electronics, with a score of 5.1 points out of 10. The Guide ranks electronics makers according to their policies and practices to reduce their impact on the climate, produce greener products, and make their operations more sustainable. Greenpeace criticized the company for not setting out targets to reduce greenhouse gas (GHG) emissions as intended in 2010 and for not providing external verification for the GHG emissions it reports for its operations and business travel. It also scored badly on the products criteria receiving no points on product lifecycle while Greenpeace noted that a higher percentage of its products need to meet or exceed Energy Star standards in order for it to score more points. It received some praise for launching new products which are free from polyvinyl chloride plastic (PVC) and brominated flame retardants (BFRs) and the company informed Greenpeace that the majority of its products will be PVC/BFR free in the near future. Acer also scored well on chemical management for lobbying for restrictions on organo-halogens and was commended for reporting on GHG emissions from its first-tier suppliers and investigating its second tier. In its 2012 report on progress relating to conflict minerals, the Enough Project rated Acer the seventh highest of 24 consumer electronics companies. Acer has been listed on the DJSI’s Emerging Markets Index since 2014 and on MSCI’s Global Sustainability Indexes since 2015. Acer sponsored the BAR-Honda Formula One racing team in the year 2000. In 2001, Acer provided sponsorship to the Prost Grand Prix Formula One team, and the team's Ferrari engines were badged as Acers. Acer sponsored the Ferrari Formula 1 team from 2003 up to 2012 (Official Supplier since 2006) and its Top Sponsor of FC Internazionale – Milano (Inter Milan) Football Club. From 2007 to 2009 Acer has been Official Supplier of FC Barcelona. On 19 March 2007, Acer announced it would sponsor the Factory Fiat Yamaha Team for the 2007 MotoGP World Championship season. Since 2009, Packard Bell (part of Acer Group) has been the sponsor of the Yamaha Factory Racing Team. In 2010, Acer sponsored Army United F.C., a football team in the Thai Premier League. Acer was the worldwide TOP Partners for both the Vancouver 2010 Olympic Winter Games and Singapore Youth Olympic Games. Acer was TOP Partner of the London 2012 Summer Olympics. Wikimedia Commons has media related to Acer Inc..
Wistron, formerly the manufacturing arm of Acer Inc.
^ "Forbes Global 2000 #1131: Acer". Fortune. April 2016. Retrieved 14 July 2016. ^ "Gartner Says Worldwide PC Shipments Declined 8.3 Percent in Fourth Quarter of 2015". www.gartner.com. Retrieved 17 February 2016. ^ "Acer Separates New and Core Businesses to Accelerate Corporate Transformation | Business Wire". www.businesswire.com. Retrieved 19 December 2016. ^ "Gianfranco Lanci is appointed President of Acer Inc., effective January 2005" (PDF). Acer. 1 September 2004. Archived from the original (PDF) on 3 April 2007. Retrieved 27 April 2007. ^ "PC market surged in 2005, will settle in 2006". cnet. 18 January 2006. Archived from the original on 14 July 2014. Retrieved 7 July 2007. ^ "Acer boss throws in the towel - Corporate - News - HEXUS.net". Retrieved 29 June 2016. ^ "Acer names semiconductor veteran as new CEO". PC World. Retrieved 24 December 2013. ^ "Taiwan's Acer to buy PC maker Gateway – World business". MSNBC. 27 August 2007. Archived from the original on 5 May 2009. Retrieved 7 April 2009. ^ "Acer Buys 75 Percent of Packard Bell making it the 2nd largest computer maker in the world". Washington Post. 31 January 2008. Archived from the original on 17 January 2010. Retrieved 7 April 2009. ^ "Acer to buy cloud computing firm iGware". Retrieved 29 June 2016. ^ Don Reisinger, CNET. "Acer to acquire cloud-service provider iGware." 21 July 2011. Retrieved 22 July 2011. ^ "Acer acquires GPS firm Xplova | Economics | FOCUS TAIWAN - CNA ENGLISH NEWS". Retrieved 28 December 2016. ^ "Acer invests in robotics start-up company Jibo - Taipei Times". www.taipeitimes.com. Retrieved 29 December 2016. ^ "grandPad® and Acer Announce Strategic Partnership". PRWeb. Retrieved 28 December 2016. ^ "Acer and Starbreeze Boards Approve Definitive Agreement to form Joint Venture for StarVR - Starbreeze". Starbreeze. 25 June 2016. Retrieved 28 December 2016. ^ "Acer reveals 'Pawbo' pet accessories". Engadget. Retrieved 28 December 2016. ^ "AOPEN® & ACER® Gear Up to Expand Global Footprint". www.aopen.com. Retrieved 4 January 2018. ^ "Nocookies". The Australian. Retrieved 8 September 2018. ^ "Inside Acer's Australian computer facility". CRN Australia. Retrieved 13 June 2018. ^ The Global Reporting Initiative (GRI) is a multi-stakeholder process and independent institution whose mission is to develop and disseminate globally applicable Sustainability Reporting Guidelines. ^ a b c "Guide to Greener Electronics – Greenpeace International". Retrieved 16 November 2011. ^ "News & Recognition". www.acer-group.com. Retrieved 27 December 2016. ^ "Sport and technology: the true spirit of excellence". www.acer-group.com. Acer Inc. 6 December 2007. Retrieved 3 June 2014. ^ "Packard Bell sponsor of Yamaha Factory Racing Team Changeover of sponsorship from Acer". www.acer-group.com. Acer Inc. 2 February 2009. Retrieved 3 June 2014.